Before you start, put the mixing bowl and the whisker in the fridge for 30 minutes. 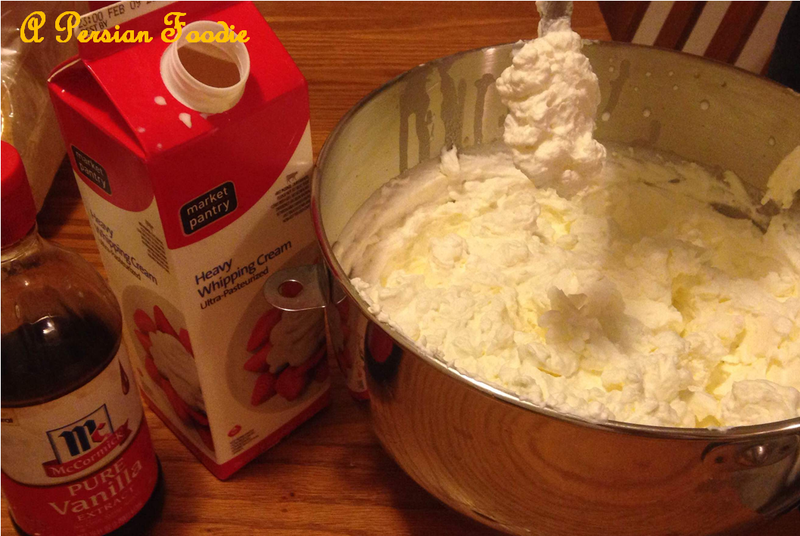 Pour the creme into the bowl, add sugar and vanilla extract. Whisk on medium speed until it will not get runny like it looks in the above picture, for almost 20 minutes. For breakfast, you can reduce the sugar to half ! 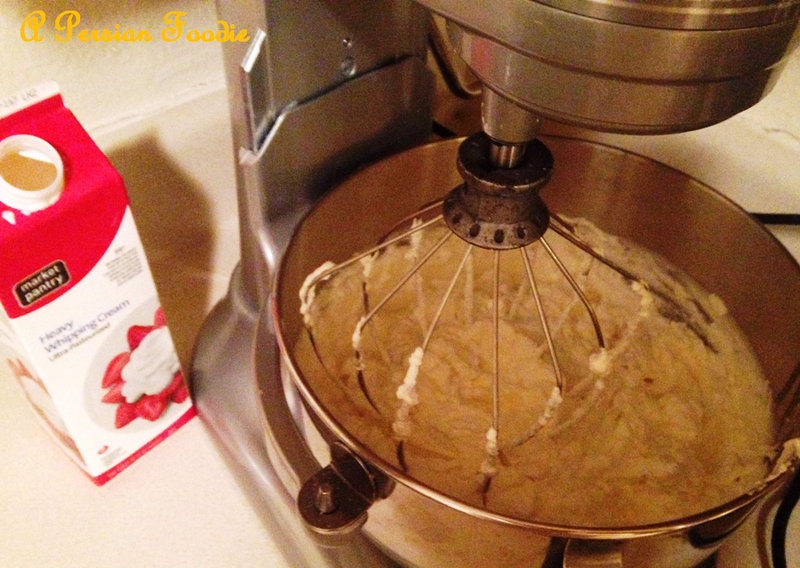 Your delicious whipped creme is ready! you can put it in the fridge for breakfast or decorating your cakes!